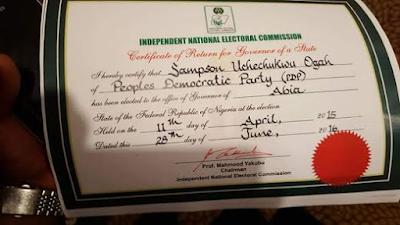 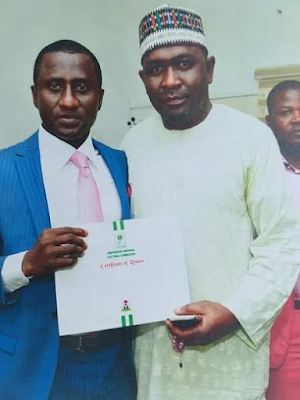 INEC this afternoon issued a certificate of return to PDP member, Uche Ogah (left), following an order by the Abuja Federal High Court on Monday June 27th, mandating INEC to immediately issue Certificate of Return to Ogah who came second at the PDP primaries in the state in 2014. 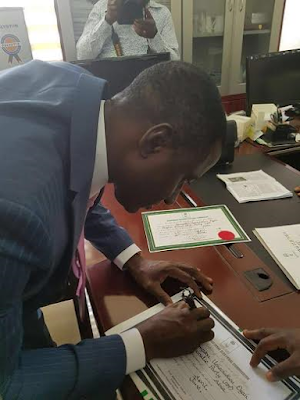 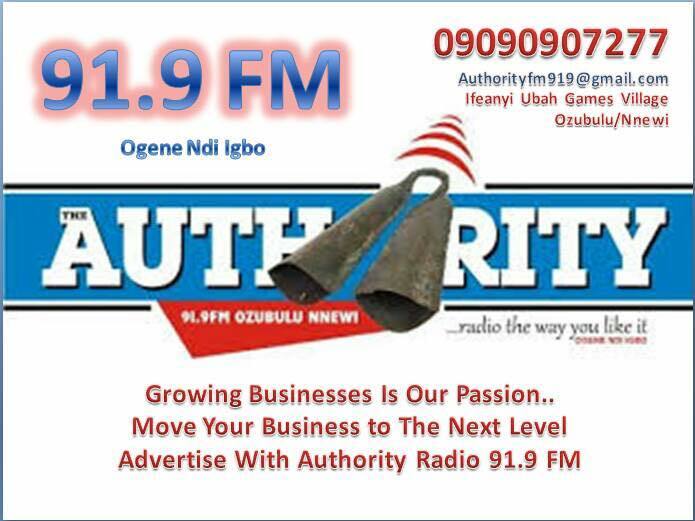 Ogah had dragged the former state governor, Okezie Ikpeazu, before the court, arguing that he presented false tax clearance during the party primaries. The presiding judge, Justice Okon Abang, said that on the account of fake tax returns during the primaries, Ikpeazu was never qualified to run in the PDP primaries as a governorship candidate. 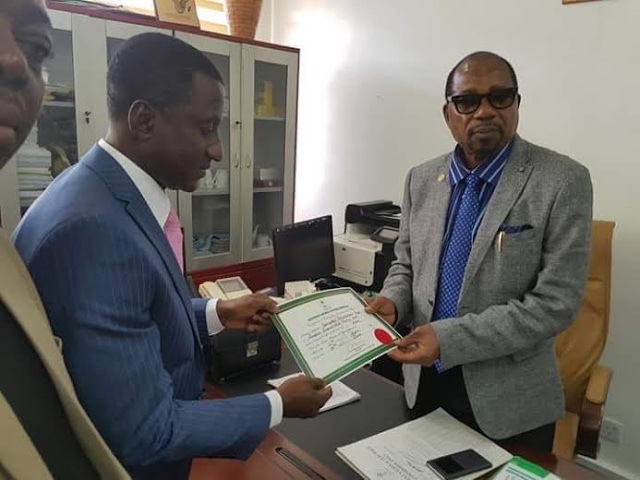 He nullified Ikpeazu's election and ordered INEC to issue a certificate of return to Ogah. 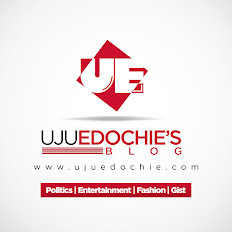 Ikpeazu has since filed an appeal against the ruling.